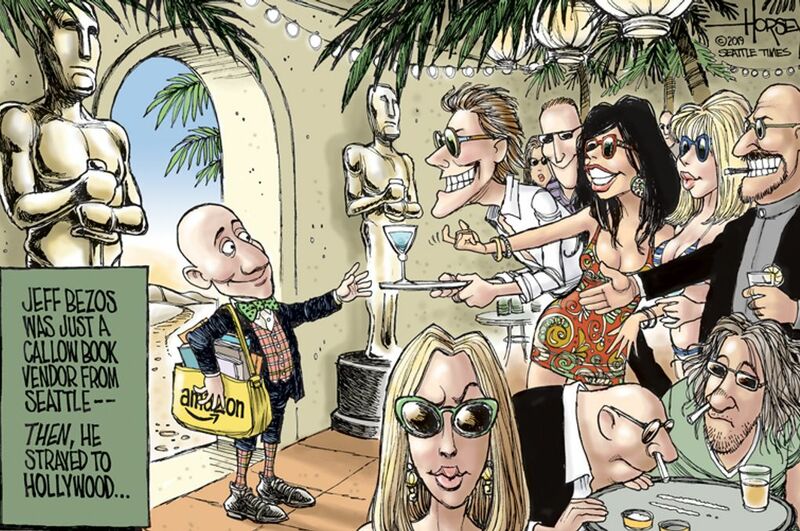 The Amazon tycoon’s recent tabloid troubles are being attributed to the lure of Tinseltown. For years, Jeff Bezos was known as a numbers-driven business genius who would not let emotion get in the way of cold, hard analysis. Now, he finds himself embroiled in a battle with a scandal-mongering tabloid after the revelation of his love affair with a glamorous ex-TV anchorwoman and the demise of his 25-year marriage. This upheaval in Bezos’ life is being attributed, in part, to the allure of Hollywood and all the seductive temptations of Tinseltown that appear to have clouded the Amazon tycoon’s better judgment.